"A true hero of mine, and a genuinely nice guy, too. I first met him in a Glasgow pub in 1973 asking for his autograph. He obliged, and bought me a beer, too. I was 14!" Traduction: "Un de mes véritable héros et un type vraiment sympa aussi. Je l'ai rencontré la première fois dans un pub de Glasgow en 1973 et je lui ai demandé un autographe. Il accepta et me paya une bière aussi. J'avais 14 ans." "In November 2014, I had an emotional reunion with Donal Gallagher, brother of Rory. (Rory was my first music hero, when I was 12). I was interviewing Slash (ex Guns & Roses), for The One Show, in Dublin, about our shared enthusiasm for Rory. Donal turned up with THAT guitar, serial number 64351 – Rory’s famous, battered 1961 Fender Stratocaster Sunburst. Rory used this very guitar on the night of my first live gig (Manchester Free Trade Hall, November 1974), an experience which truly changed the course of my life. Never before had I heard anything as loud. I came out of that concert knowing that working in live music was where I really wanted to be. 64351 was still with Rory when he came to play at concerts I organised at Leeds University, years later. 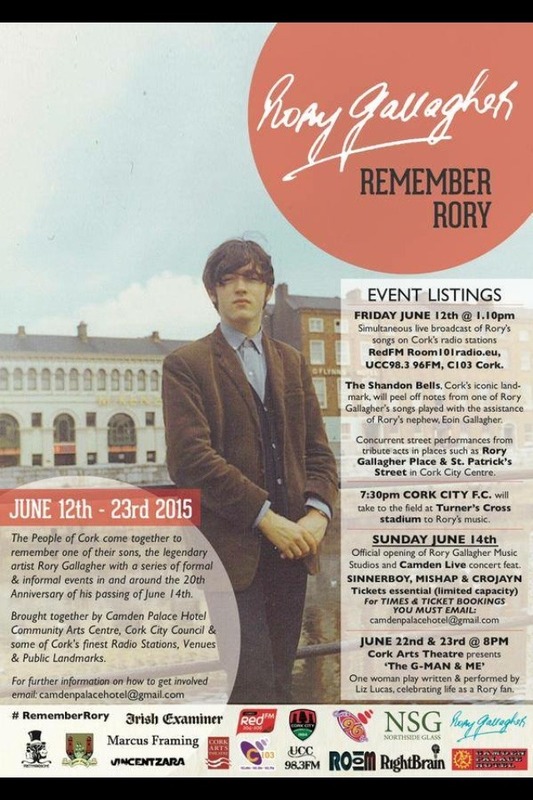 Rory was the most modest and humble rock star with whom I’ve ever had dealings. Yet massively talented. It was hugely moving to see Donal again – also Rory’s tour manager for all those years – and I felt very honoured to be allowed to hold the guitar. And strum it inexpertly. Bless you, Donal. And Rory is still much missed." 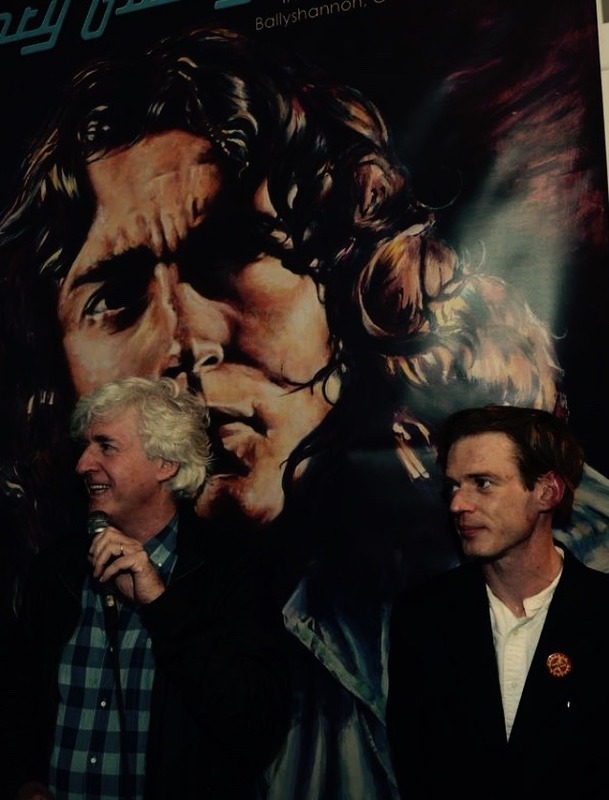 Donal and Eoin Gallagher today at the presentation of Rory’s fest 2015. 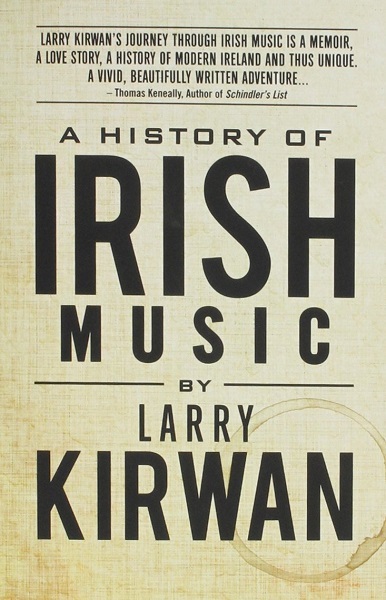 Dans son livre paru le 1er Mars 2015, Larry KIRWAN un irlandais expatrié à New-York consacre un chapitre entier à Rory Gallagher.
" He may have been the most thrilling guitarist I’ve ever seen – he was definitely the most consistent and passionate. His name was Rory Gallagher." Ça le fait bien !!! 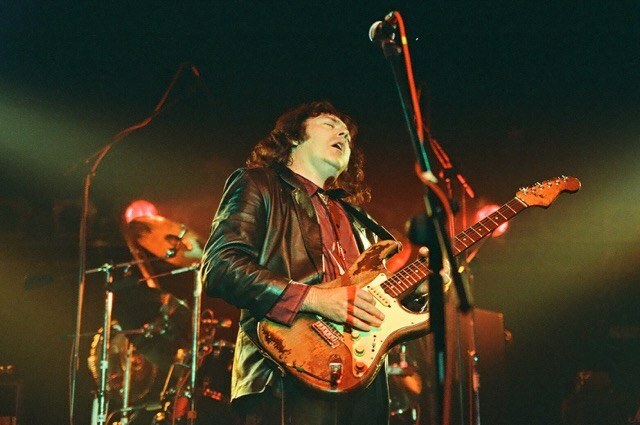 Rory Gallagher live / Zeltmusikfestival Freiburg 1993 (c) Peter Küchler. Chino a écrit: Superbe photo, j'adore! Mais elle me fait mal en même temps car ce visage bouffi me rappelle en permanence sa santé déclinante. 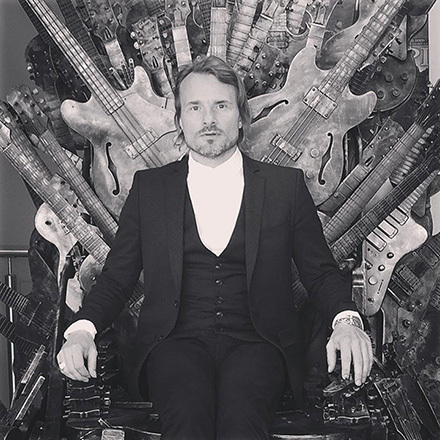 "I grew up in Malmö, Sweden, and there was a friend of ours that owned a vinyl store, and I would always go down to him and ask for advice on music. 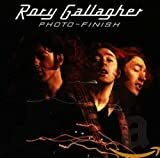 He connected me with Rory Gallagher, the Irish blues guitarist." Ce monsieur a bon goût! Chino a écrit: Ce monsieur a bon goût!